Aero-News learned Monday that Cessna and Winglet Technology, LLC have agreed to collaborate on the latter's patented Elliptical Winglet design for retrofit on the Citation X.
Elliptical Winglets, which are designed to increase range and increase payload on high/hot departures, will be installed and flown on a Cessna Citation X test aircraft this summer. Cessna and Winglet Technology plan to announce details on the expected performance benefits and planned availability later this year. "We are looking forward to working with Cessna on what we believe will be a significant performance enhancement for the Citation X," noted Bob Kiser, President of Winglet Technology. "As with any new technology, we look foremost at how it will benefit the operator, so we are looking forward to working with Winglet Technology on this project," said David Brant, Cessna Senior Vice President, Product Engineering. 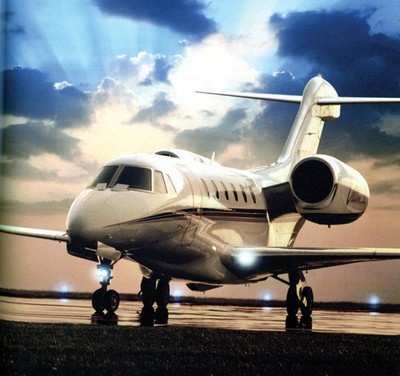 Based on unit sales, Cessna Aircraft Company is the world's largest manufacturer of general aviation airplanes.